Friday 10th December 1915: The Bedford Police Court held at Shire Hall today has been dealing with a number of offences against the Lighting order. The offenders were all summoned for failing to obscure or reduce the intensity of lights within their premises. John Gask, a shopkeeper of Park Road, was fined 5 shillings for allowing a light to shine three feet over the footpath. 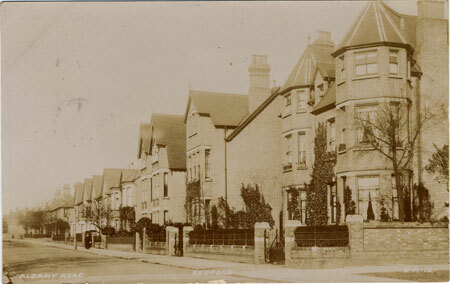 When Mrs. Christian of 11, Bushmead Avenue, the wife of Major Christian, was spoken to by the Special Constable for a similar offence she said it was “rot” to come on a night like that as it was too cold for Zeppelins. She was also fined 5 shillings. Another Special Constable visited Mrs Jenkins of 12, Campbell Road; when spoken too she said she had been “bothered by men all the week” and slammed the door in his face. She was fined the larger sum of £1. Corporal Collier of 4, Albany Road, pleaded not guilty to the offence. The Special Constable reported that a blanket was stretched partly over a top window but not sufficiently to prevent a light showing. There was a naked light in the front hall and the front door was open. Corporal Collier, who was the orderly corporal for the billet, said they did not have proper material for the window and agreed to report the matter to his superior officer. No previous complaint had been made and he had rectified the problem as soon as he was told of it. His fine was only 2s 6d.